I normally don’t start my city breaks by going to court and ending up behind bars – but that is exactly what happened shortly after I arrived in London last time. Because I checked in to Clink78, which is a former courthouse elegantly converted on of the most colourful and entertaining of London hostels. I was at the beginning of my pilgrimage to find street art in London. Here you can – as I did – spend the night in a cell formerly used to keep the possible bad guys in check while awaiting their trial, making your accommodation an experience in itself, rather than just a bed in which to spend your sleeping hours. 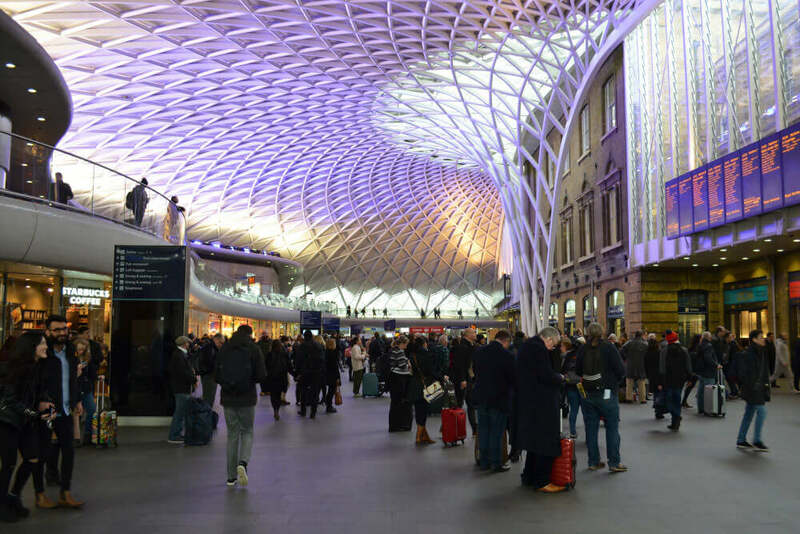 Also it’s a great place to meet other travellers and to get inspired on what to do with your out-of-jail London-time. This and the decor have to make Clink78 one of the most charismatic of London hostels. 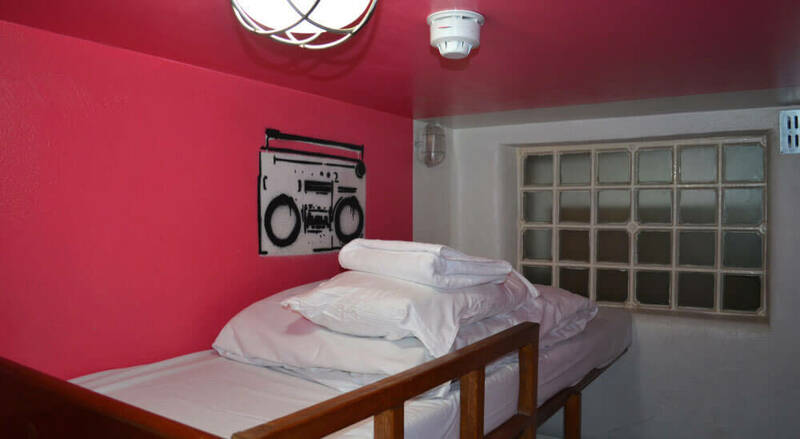 I was in town to check up on London’s widespread street art scene, and Clink78’s location near King’s Cross Station makes this London hostel a great base for exploring. Especially since the main street art areas reach from Camden north of the city to Brixton in the south – both easily reached with the tube. The epicenter for the street art in London however is found in between Camden and Brixton, in the neighbourhood named Shoreditch. A multicultural and atmospheric part of London that plays with all your senses as you wander its streets. From the smell of exotic food on the markets, to the sound of street musicians and the sight of endless of pieces of street art. 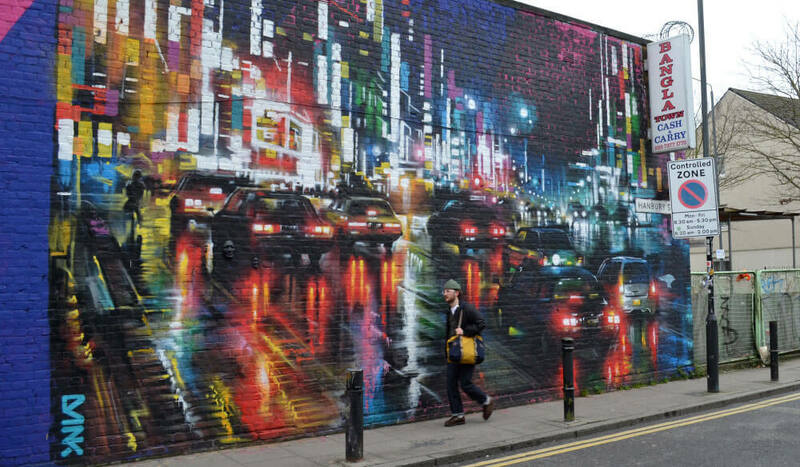 If you like street art Shoreditch is the place to get lost in this world of creativity. Some pieces done illegally – others commissioned by owners of the buildings they adorn. An urban and free art form that increasingly gets more popular and accepted around the world, and many internationally renowned artists come here to Shoreditch to showcase their talents. 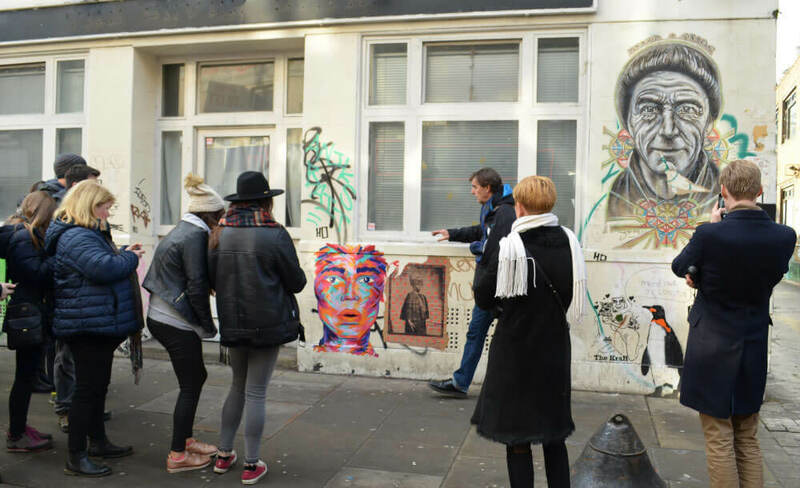 A great way to learn more about the street art in Shoreditch and the artists behind it, is to book yourself in on a guided walking tour with a local expert, and that’s what I did one afternoon – conveniently combining walking the streets of London with interesting facts and stories about street art and the artists. Like the story about the guy who simply started putting up stickers everywhere and ended up designing the official poster for the former President Obama. Apparently street art can lead you to either the courthouse or The White House. After three hours of exploration, it was nice to be able to return to a comfortable hostel to relax in the colourful courtrooms while re-loading for more London-adventures. With both dorms and private rooms on offer Clink78 is one of the best London Hostels to use as your base while discovering the city – and maybe its street art.